Tundra Buggy Lodge Enthusiast, Churchill – The Great Canadian Travel Co.
See Tour Notes for dates and prices of longer 7 day/6 night and 6 day/5 night Tundra Buggy Lodge Enthusiast programs. Guests will arrive in Winnipeg and check into the Four Points Sheraton at the James Armstrong Richardson International Airport. Orientation at 9:00pm at the hotel. We will depart on an early morning flight to Churchill. 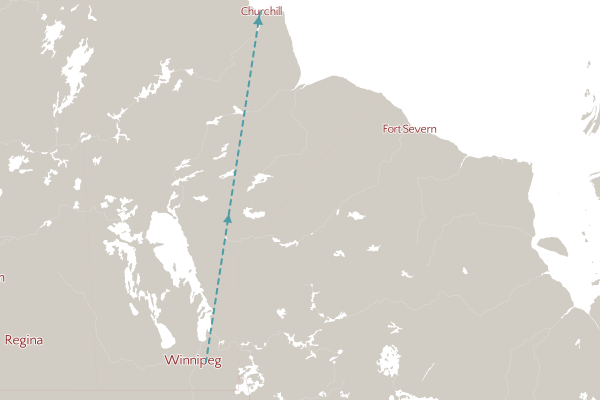 Upon arrival, we’ll take part in a town and area tour of Churchill, including a stop at Churchill’s Eskimo Museum and Parks Canada Interpretive Centre. Guests will have free time in the afternoon to explore the town. 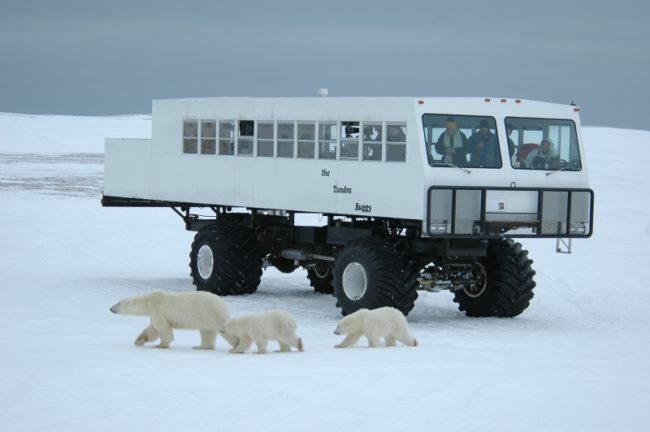 Transfer to the launch site around 4:30pm and make the trip across the Churchill Wildlife Management Area to the Tundra Buggy® Lodge. Guests will spend their evening enjoying a delicious home cooked meal, socializing and watching the night sky for Northern Lights (weather permitting). The lodge is your home for the next three nights. 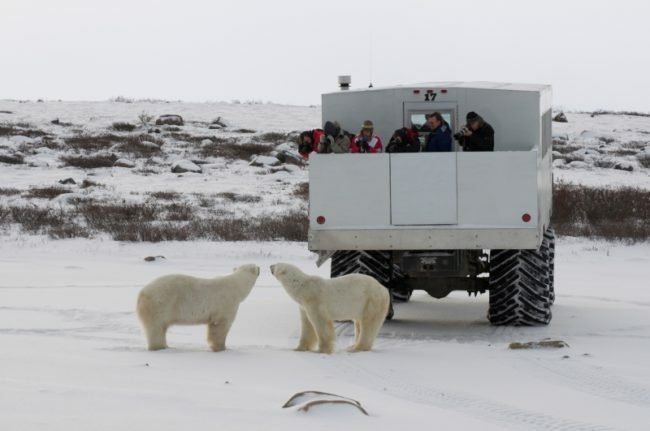 Board the Tundra Buggy® after breakfast for a full-day excursion into the Churchill Wildlife Management Area. 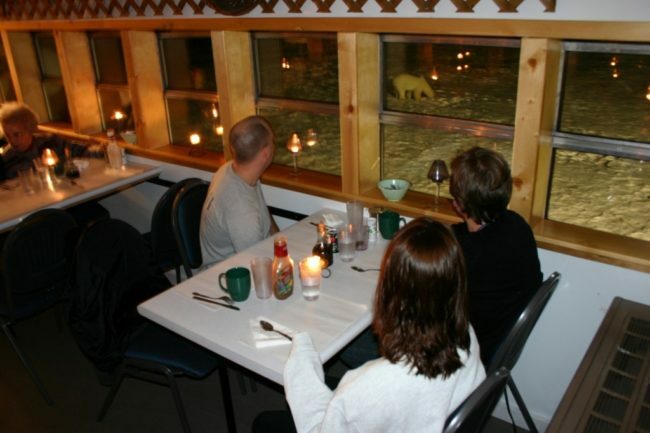 Time will be spent further afield from the lodge, exploring the tundra terrain and viewing the polar bears and other incredible wildlife. A picnic style lunch will be served on board. At the end of the day, guests will return to the Tundra Buggy® Lodge in time for a delicious, warming meal and a chance to relax in the lounge. Overnight Tundra Buggy® lodge. 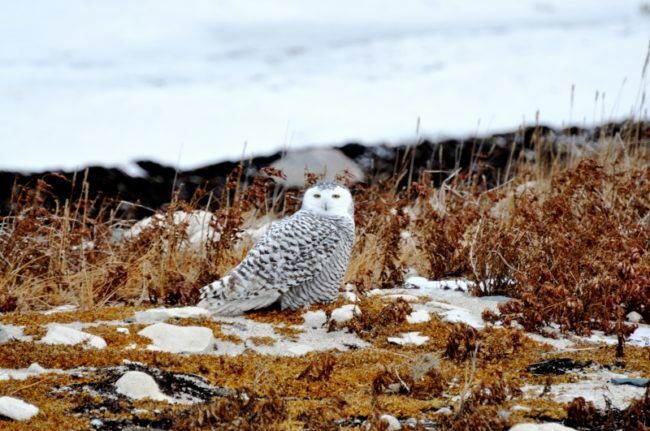 Alternate tour options: Have more time and want added opportunity to view polar bears and arctic wildlife in their natural setting? Prices are shown per person, in CA$, based on two people sharing a twin room and one person in a single. 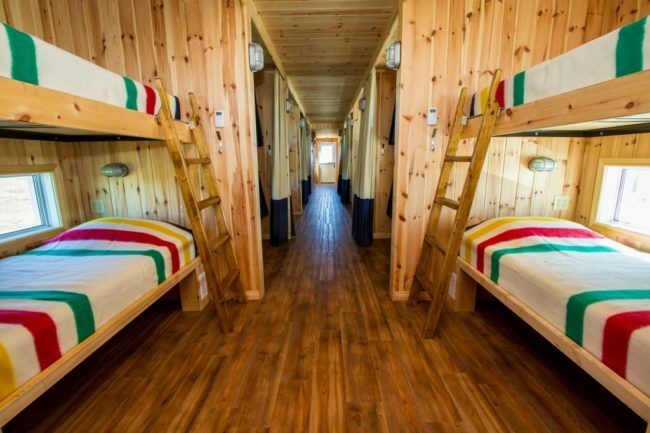 Triple rooms are not available on this tour. Day by day itinerary details are available on request for these longer programs. Specialist, Enthusiast and Adventurer levels of touring. You may already have noticed that some of our Churchill polar bear programs are categorized as Specialist, Enthusiast or Adventurer. But what do the categories mean? Well, here’s the low down. Confused as to what level of tour best suits your needs? Just ask us and we’ll go through the various tour options and dates to find the best fit. Specialist and Enthusiast level tours offer smaller group sizes and include a photography or interpretive guide. Adventurer level tours have the largest group size, so the lowest prices. If you are looking for the most economical tour, then an Adventurer level tour is for you. If you have a bit bigger budget and want a smaller group with an interpretive guide, then an Enthusiast level tour would be the best choice. The Specialist tours require the biggest budget and focuses (pardon the pun) on specific interests such as photography, with an expert guide along. 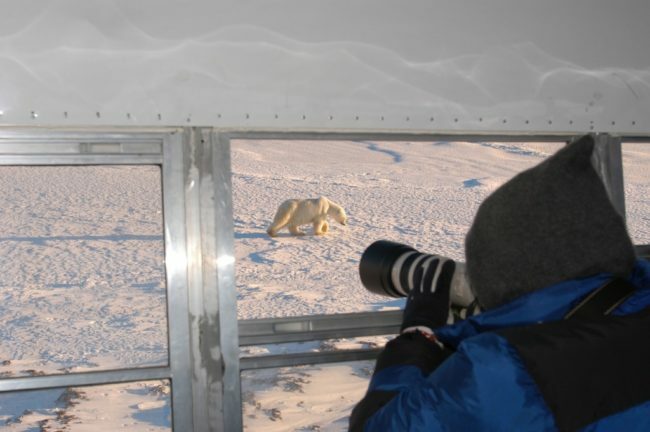 **Conservation Journey – Polar Bears takes you deep into the heart of polar bear country, the Churchill Wildlife Management Area, where the most studied population of polar bears in the world are found during the autumn months preceding the Hudson Bay freeze-up. 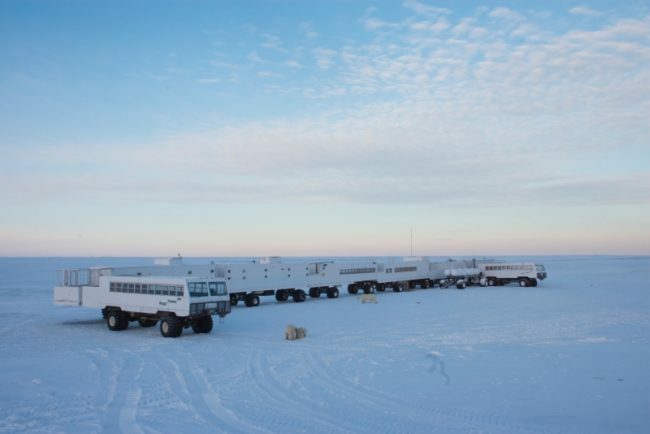 The Tundra Buggy® Lodge is our base for the adventure, which includes three full-days on the tundra, and a behind-the-scenes glimpse of Buggy One, a mobile broadcast and research station that also serves as operation central for the live polar bear cams operated by Polar Bears International, explore.org and Frontiers North Adventures. 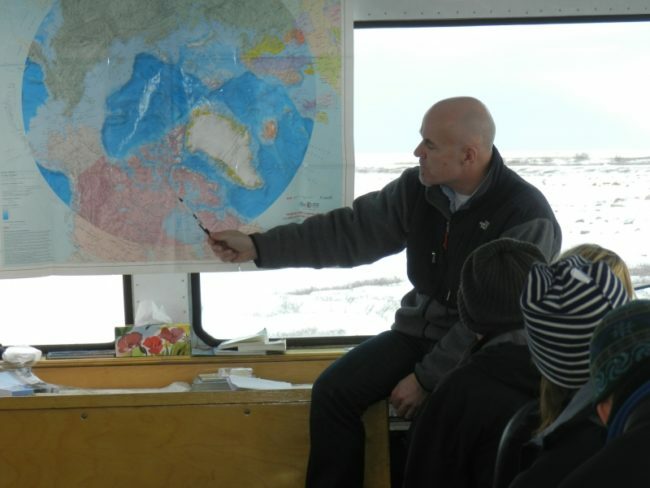 Evenings are spent on the Tundra Buggy® Lodge where you will learn about polar bear habitat and species conservation awareness from PBI researchers and scientists, including PBI’s Chief Scientist Dr. Steven Amstrup. 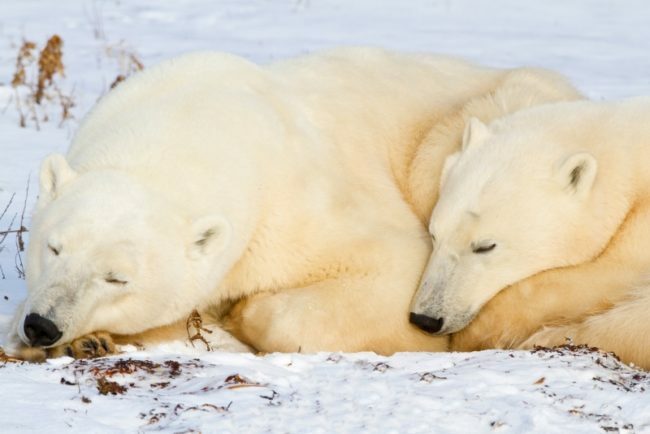 You will return home with valuable information about how climate change is impacting polar bear habitat, along with valuable wildlife experience from the frozen Hudson Bay coast. Join us to see first-hand the work we’re doing and learn how you too can help preserve polar bear habitat. 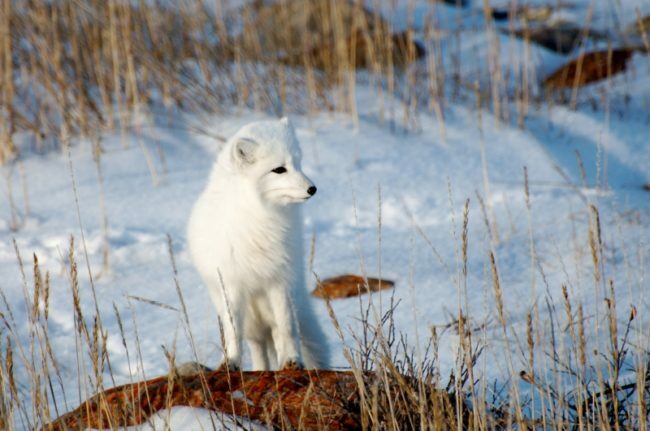 Dr. Steven Amstrup has worked tirelessly for more than 30 years to discover the wonders of polar bears. Among his long list of accomplishments, he led a team that contributed to the U.S. Secretary of the Interior listing of polar bears as a threatened species, is a long-time member and past chairman of the IUCN Polar Bear Specialist Group, and in 2012 was selected as the recipient of the prestigious Indianapolis Prize.